Chad and Sonny? I just don't see it. Ive never been able to understand why so many people are so crazy about them being together. And when they were a couple all they did is break-up then get back together over and over. It was really annoying. No offense to Channy fans. Please try not to hate me. It's just one thing I can not comprehend. Well why do u love Chawni? Both of them care about themselves! Channy, it's really cute. And mostly, it's because some Channy fans are also STEMI fans and I am too! And they only break up allot because THE PRODUCERS wrote it which means u can't use that as a defense! Umm... Okeeey... Chawni. Well THAT IS weird... 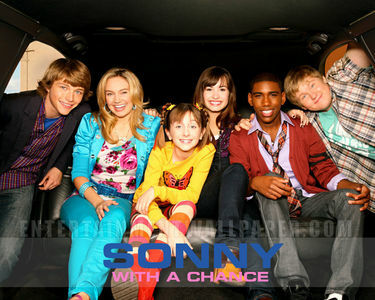 But not everyone will Channy (hitting my head on the table, cuz i like just SonnyxChad, Sonny and Chad of anything... The word Channy just freaks my out.. )... So we like it cuz some people (like myself ;P) were waiting for Channy (Uh) from the first season... And i don't know... That might be a stupid vraag u asked. i like her b cuz she is looks soo cool there,her smile is the awesomest! !,she is funny...and 4 a lotzz meer thing! because they havent kissed yet soo that gets them loads of publicity so now everyone loves them..